Evo & Grace: The WanderLusts: Lemon Kiss: Shopping Kid's Clothes Online! Buying children’s clothing from the internet is becoming more and more common. Not only is online shopping convenient, but it also offers an advantage over traditional shopping because of the wide variety of clothes that are readily available at your finger tips. From new designer jeans to used vintage dresses, you’ll be able to find every type of clothing style imaginable on the internet. Lemon Kiss. It’s a brand of clothing for little girls sold primarily at most SM department stores nationwide. Lots of pretty prints in flattering silhouettes that little girls love. Lily and Stella got to try some and they loved twirling in them. Sophia is still looking for an occasion to wear a dress again. 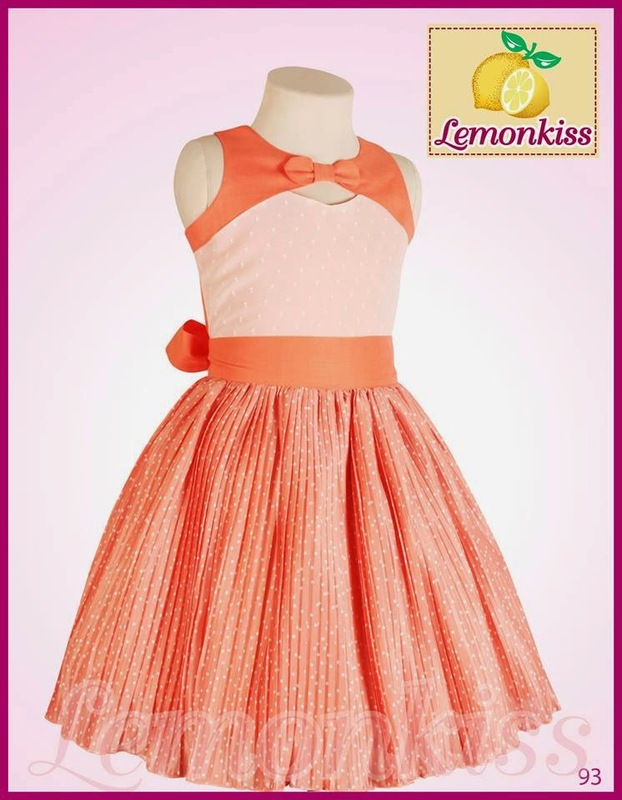 Lemon Kiss dresses are mostly made of cotton, therefore very comfortable and light. Another plus factor is the price range. Dresses are P400 to P800+. That is why I love their sets of dresses for little girls. Plus, I enjoy and love the idea of shopping online via their Facebook page. Convenience and variety are both good reasons to shop for children’s apparel online, but discount prices is what draws many people to the internet and that is what I love also!From the comfort of your own home, you can easily comparison shop for children’s clothing from two, three, or even ten retailers if you so choose. In addition to saving money by finding the lowest priced clothing, you’ll also save money on gas and the wear and tear on your vehicle. Another nice feature of ordering online is that many retailers provide a way of tracking your shipment as soon as the purchase is made--from the time it leaves the warehouse until it reaches your front door. You’ll know the location of your package while in transit and when the expected delivery date is. Depending on the retailer and any running promotions, you may even be able to receive free shipping on your order or a free upgrade to next-day delivery. As parents, grandparents, aunts and uncles, it seems that our schedules are becoming more hectic all the time. This results in less time for our families, friends and ourselves. Shopping online for the children in our lives allows us to save some of this valuable time, while saving money as well. It also adds another much needed convenience that we can all benefit from. Thanks for the informative content. online shopping pakistan And moreover your site design attracts me more. online shopping pakistan customers in Karachi, Lahore, Peshawar, Islamabad & Rawalpindi from their respective outlets and for all other areas we have been connected to you using TCS Courier company which lets you pay on delivery no matter where you are.